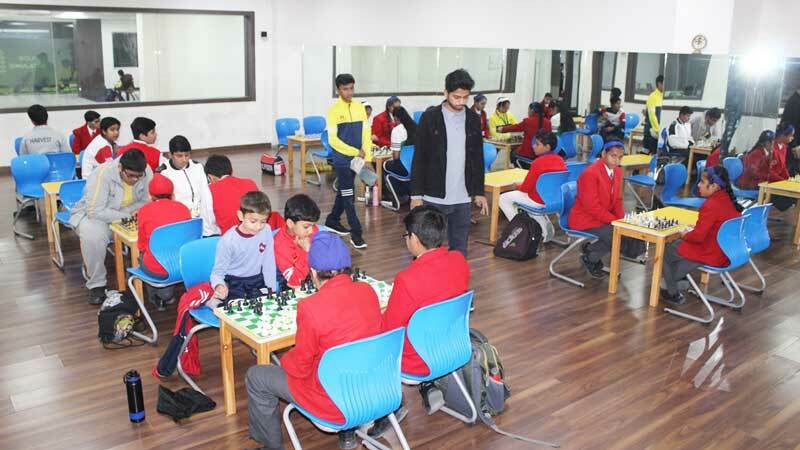 Manav Rachna International School, Ludhiana organised an Inter School Sports Meet-2018-19 amidst great mirth, verve and camaraderie on 7thDecember, 2018 in which around 250 students from ten different schools participated. Dr. Roopali Trehan presided over the function as the Chief Guest of the day. The program started with a guard of honour to the Chief Guest who was escorted by Dr. Rupali Saini, Principal of the school. 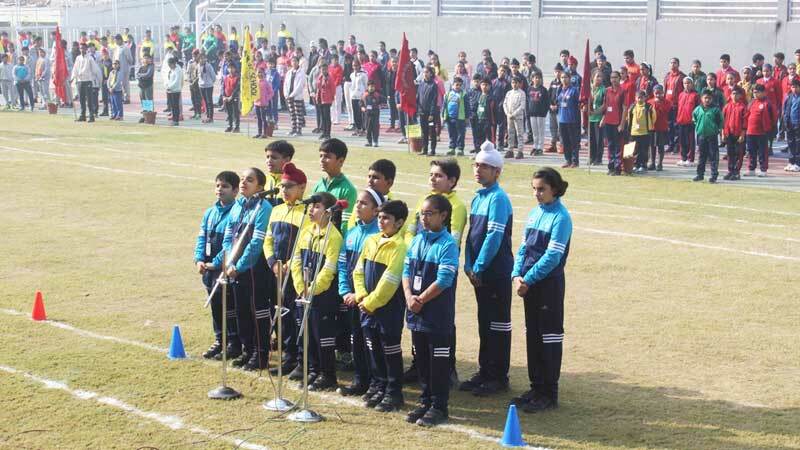 The much awaited Inter School Sports Meet started with great zeal, excitement and congenial atmosphere by welcoming the esteemed Chief Guest, the officials, participants and emphasizing on the importance of sports in a child’s life. The students displayed a Yoga performance mesmerizing the audience with the sole soothing postures. A Russian Ribbon Drill and Dumble Drill session by the students of primary section enthralled all present at the venue. Dr. Roopali Trehan and Principal Dr. Rupali Saini solemnized the flag hoisting ceremony and also took the salute of the impressive March Past of the students, coupled with some stirring marching music by the band. The students entered into the spirit of the occasion in a grand way with the oath being administered by the School Principal. The Chief Guest Dr. Roopali Trehan wished good luck to all the participating teams and said that this event speaks for the commitment that all hold for the sports which further provide opportunities to come closer and strengthen the bond of fellow- feelings. Dr. Roopali Trehan declared the Inter School Sports Meet Open releasing the balloons to set them soar high in the sky. An energizing equestrian display set the tone for the rest of the event.